The copyright industry keeps pounding a simplistic message to legislators – that copyright law is simple and that nobody honest could ever break it, and that it’s easy to “tell right from wrong”. But when you look at the deeds of the copyright industry instead of their words, they don’t seem very eager to follow their own rules themselves – if nothing else, demonstrating in deed that those rules are outdated, silly, or both. Number six: The movie studios themselves are torrenting at a large scale all the time. 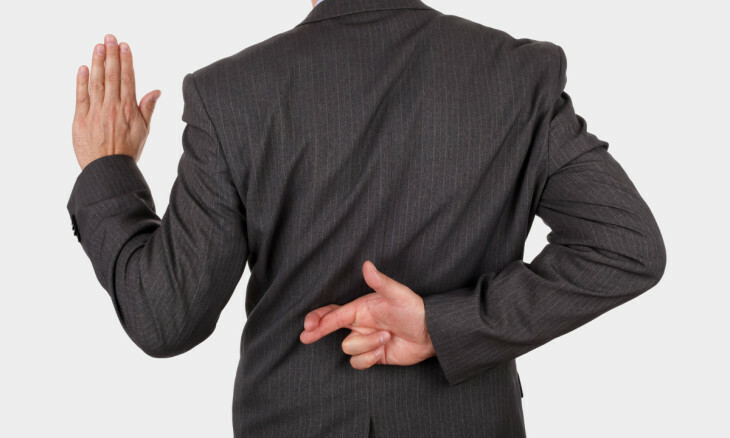 The news site TorrentFreak used a service that matched torrent swarms to the public IP addresses of the big movie studios, and found that basically every movie studio – not to mention every company in the copyright industry – is engaging in large scale piracy themselves. While this is presumably individual employees using company resources, and not official actions of the company, it’s still impossible for the IT sysadmins of these companies to not notice. Here’s what TorrentFreak found Paramount Studios sharing. Credit: TorrentFreak. Yes, this is the very behavior they argued that people should have their Internet access revoked for, that they engage in themselves on a large scale from their very headquarter offices. Number five: Voddler, an early competitor to today’s Netflix, used a video player client that itself violated copyright. Voddler, called Spotify-for-video at its heyday and frequently mentioned as a poster child in political debates about the copyright distribution monopolies, always pounded on the table saying how copyright was extremely important for blah, blah, and blah. Apparently, that importance only concerned Hollywood’s copyright, and not that of people who couldn’t defend themselves in a court of law. When Voddler put together its video player client, it did so by assembling code from the XBox Media Center – XBMC – and other free-software video repositories like ffmpeg and mplayer. However, these repositories were licensed under the free-software GNU Public License (GPL), which meant that anybody may use and reuse the code – but only under certain conditions. Specifically, any reuse must provide the same freedom-to-reuse in their turn, the freedom that they were offered to get there. Voddler did not do this. They published something resembling a piece of source code for their client (equivalent to a Netflix player), but nobody was ever able to compile it, which makes whatever-it-was clearly not meet the licensing terms of the GPL. The free-software community was outraged, Voddler got hacked and took its offerings down “for maintenance”, and tried to relaunch but never recovered from doing one thing and saying another entirely. Number four: The lobbyist material to push the European Parliament to vote for ACTA, a draconian copyright-and-more treaty, was itself pirated. 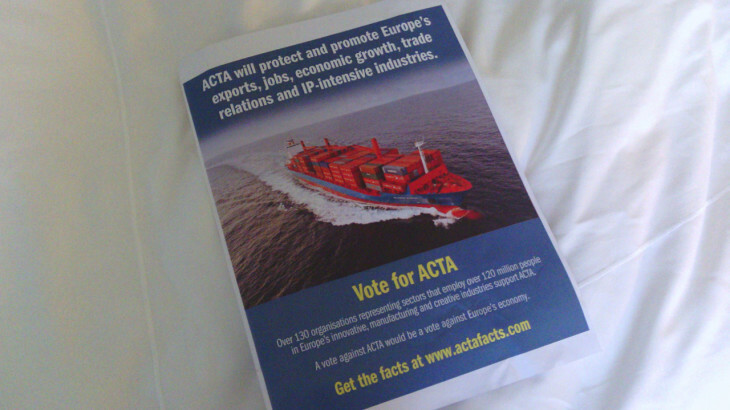 The pro-ACTA poster used in the European Parliament, itself a pirate copy. The problem with this is that the poster contains artwork which wasn’t licensed, making the high-profile pro-copyright campaign in the very European Parliament a blatant copyright violation. Multiple people traced the origins of that photo; Jéremie Zimmermann of LQDN found it to be a publicity photo which was permitted to use only under certain conditions which were not met, and an unnamed Danish reporter even tracked down the shipping line, their image repository, and the individual photographer to find out if it had been licensed. It hadn’t. Number three: Pirating the music for a famous anti-piracy video ad. 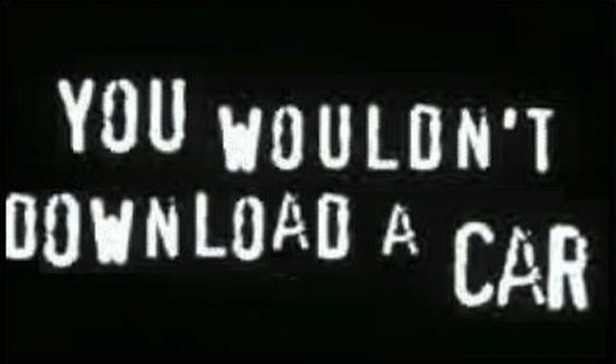 One of the most famous, and also most parodied, anti-piracy ads of all time used its music without permission to do so. In other words, it was a widely distributed pirate copy of that music, all while trying to push the message that downloading is “stealing” (which is itself a blatant lie, at least according to the US Supreme Court, which can be said to have some authority on that particular matter). You would if you could. The music for this ad was created in 2006 by the Dutch composer Melchior Rietveldt, and it was to be used exclusively at a local film festival. To his surprise, he discovered it was also used on an anti-piracy ad on a Harry Potter DVD the following year – and in thousands, if not millions, of other places, which went completely against the licensed rights. In another twist on this story, when Rietveldt demanded royalties for the illegal use of his composition, the local copyright industry (represented by Jochem Gerrits) demanded that the composer signed up under Gerrits’ own label if he wanted to see a single cent, and Gerrits would also personally take one-third of the already-owed fees and fines in exchange for allowing Rietveldt to receive anything at all. The “offer” appeared to be business-as-usual in the copyright industry; anywhere else, we’d call it corruption and racketeering, if not outright fraud. Number two: The logo of the French official anti-piracy authority was pirated. Around 2008, the copyright industry was heavily pushing the concept of “three strikes” – that your entire household should be cut off from the Internet, sending you into exile from modern society, on three accusations – accusations – of sharing music and movies outside the monopolized channels. From collective punishment to presumption of innocence, this violated a whole truckload of principles of due process. Nevertheless, the copyright industry pushed ahead and managed to get it installed in one European country – France – before the European Parliament outlawed the practice completely as part of the so-called Telecoms Package. The French authority responsible for cutting off citizens from the Internet when they had violated the monopolized distribution channels was called Hadopi, which in French tradition is an acronym for something like High Authority for Pretending We Are Very Important. When the authority for protecting copyright and standing tall for these monopolies was unveiled, amid pomp and trumpets, it turned out that their very logo was a pirate copy. Specifically, they had used a font which had been exclusively licensed only to France Telecom, and which nobody else therefore had the right to use. This included the French Government and their authorities, such as the caught-with-the-hand-in-the-cookie-jar Hadopi. So according to this very authority, its act of overt piracy should lead to the French Government having its Internet access revoked. You get one guess on whether that happened, or whether the copyright industry considers copyright law only to apply to the low common plebs and not to themselves. Number one: Sony willfully planting pirated remote-control malware on millions of computers to “protect the concept of property rights”. In 2005, computers had this thing called “autoplay” for CDs inserted into them: in order to be user-friendly, they would automatically run any code named Autoplay. Windows computers would also always run with Administrator privileges when any random user was logged in. This was not a very good combination. Sony used this to distribute music CDs that were actually mixed-mode CDs — they contained both a small data track and the music they claimed to hold. And the small data track, when inserted into any Windows CD, immediately installed remote-control malware that let Sony control how the computer was used, from there on out. Specifically, it would refuse to do certain things with the Sony music that was inserted in the drive, for no obvious reason. It would also steal data from the computer and send that data to Sony. This was the first time a major copyright studio willfully distributed a rootkit — a malicious remote-control program running invisibly with root privileges — with the objective to willfully infect its customers. It infected millions of computers. Sony distributed over 20 million CDs with the deliberate malware. When they were held to answer for this, they first denied any wrongdoing whatsoever, claiming “we are doing this to protect the legitimacy of property rights” (!! ), and later feigned ignorance: “The customers probably don’t know what a rootkit is anyway, so why should they care about it?”. Under immense public pressure, they published a removal program, which only made the problem worse. At the end of this story, Sony was sentenced in a class-action lawsuit to distribute promotional material for its upcoming catalog as remedy for having willfully infected millions of computers, sending themselves data from those computers, and giving themselves administrative access to them. Bruce Schneier has one of the best writeups on Sony’s malicious behavior, and also notes that Sony pirated GPL-licensed code when writing their malicious rootkit, as the icing on the cake of this story. In summary, the copyright industry has been consistent experts at one single thing in the past decade: demonstrating in action that copyright law either shouldn’t be followed at all, or that the law only applies selectively to those who can’t afford to have protectionist law written on request to serve their interests. if nothing else, demonstrating in deed that those rules are outdated, silly, or both.